Directorate of Health Services (DHS) under the Health & Family Welfare Department of Govt. 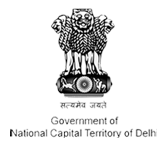 of NCT of Delhi has tremendous health care responsibilities. The department caters to health needs of nearly 16 million population of the ever-growing metropolis and neighbouring states. The department plays a significant role and is committed to provide health care facilities to the people of Delhi. 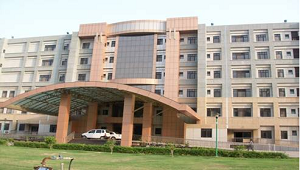 The Department of H & FW, GNCTD is the largest public healthcare provider in Delhi. The Department owns and operates 36 allopathic hospitals with over 10,000 beds, over 260 dispensaries, 30 mobile health clinics, 262 ambulances and a Medical college. These hospitals/institutions provide a range of preventive, promotive, curative and rehabilitative healthcare services, teaching, training and research. DHS is one of GTI's largest customers where it has implemented its HIMS Solution. GTI was awarded a much sought after contact for twelve hospitals of DHS to develop the HIMS software, procure & install the hardware & network, maintain and operate the operations 24x7 across 12 hospitals. GTI's Solution caters to over 8,000,000 patients across the State of Delhi. GTI is responsible for complete turnkey Computerization of OPD, Casualty & Indoor Patient Services in 12 Delhi Government Hospitals.